DPIR provides a free disease investigation service to livestock owners for diagnosis of notifiable emergency, exotic and endemic disease, including zoonotic diseases. Berrimah Veterinary Laboratories provide free diagnostic testing for exclusion of notifiable diseases for all disease investigations, and subsidies are available for producers to contact private veterinarians for significant disease investigations in livestock. 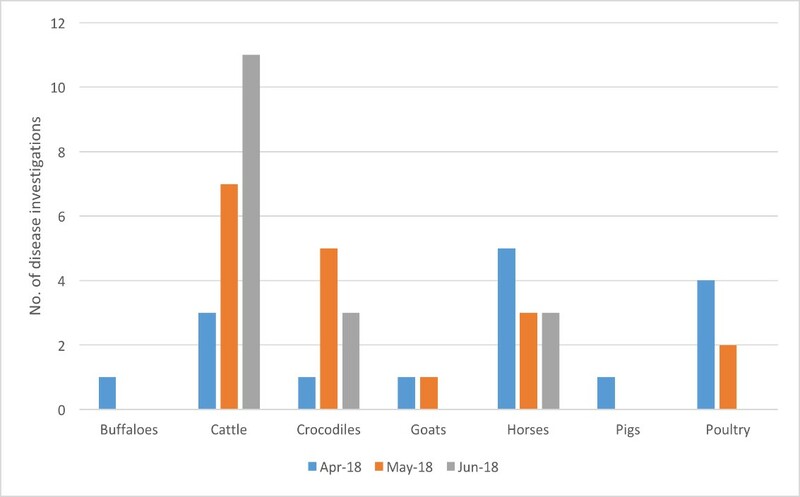 During April to June 2018, 52 livestock disease investigations were conducted to rule out emergency diseases or investigate suspect notifiable diseases across the NT.